Le Carré recalls when he used to listen to CD’s in his classroom and German actors reading poems by Heinrich Heine or Eduard Mörike. It was just listening to those sounds (and reproducing them) that le Carré started to fall in love with German. “I was in love with the idea that these poems and the language I was about to learn, belonged to me and nobody else because then, German wasn’t a common subject and most of my classmates only knew few words: for example Achtung (attention!) and Hände hoch (hands up!) learned from watching war movies. he enrolled at the faculty of German literature at the University of Bern at the age of 16. Le Carré explains that he had an excellent teacher there too, Frau Karsten. While joining the military service, he was transferred to Austria and afterwards he graduated in languages at the University of Oxford. After his studies, he started teaching German at Eton. And yet German is not only a “playful” language, but rather a language of purity. 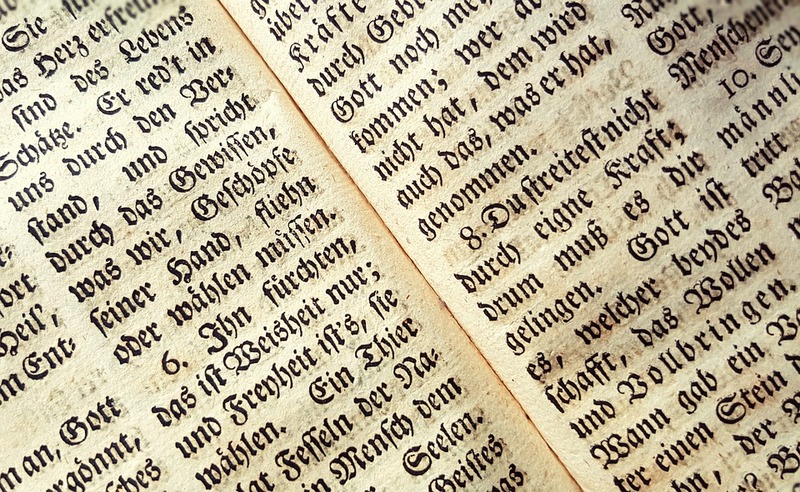 “When you get really tired of that massive number of nouns and participles used to make compounds, please remember you can always get inspired by Hölderlin, Goethe or Heine poems and never forget that German can reach extremely high levels of brevity and beauty – which is for us, the language of gods”. According to John le Carré, studying a foreign language is a friendship act comparable to a handshake. As soon as you start learning a new language, you start getting closer to the other, her/his culture, behaviour and way of thinking. The writer mentions Carlo Magno: “Getting in touch with another language is like owning a second soul”. Le Carré states that “merging these two souls requires mental fluency. It’s important to be clear and never get satisfied unless you find the equivalent word. If the equivalent doesn’t exist, you have to find a complete sentence or periphrasis in order to express the same meaning”. Not without reason, le Carré thinks that his most methodical editors are foreign translators. Then he goes on “the German translator is particularly exasperating”. Le Carré also mentions the importance of a pure and rational language. Without specifically citing the name of the present U.S. president, the writer refers to “contradictions and incomprehensible declarations from the other side of the Atlantic”. Moreover, he adds “for a man who’s actually in war with the truth and reason, an objective language stands for a threat; the enemy’s voice, or better a fake news, to him”. maintain a balanced and civil debate on Europe. Teachers often refer to those “illuminated young people that, with or without Brexit, consider Europe their home, Germany as their natural partner and language as a natural bond”. Born in 1931 in the South of England, John le Carré has been considered the most important writer of twentieth century’s spy fictions. His books, also inspired by his professional experiences and set during the Cold War, are famous worldwide. Infact, during the Second World War he joined the British secret services and his novels include “The spy from the cold”, “All men of Smiley”, “The mole”, “The perfect spy” and “The tenacious gardener”. Fascinated by the charm carried by the foreign languages, le Carré studied at the University of Bern and then at Oxford, where he graduated in German literature. He has been taught for two years at the prestigious Eton College and then became an official of the Foreign Office, the British Foreign Ministry. First, he became Second Secretary at the UK Embassy in Bonn and later he went to the Hamburg Consulate as a Political Counselor.